“Does your church know you are here?” Before we introduced each other, this was the first question I got from a Latina activist. 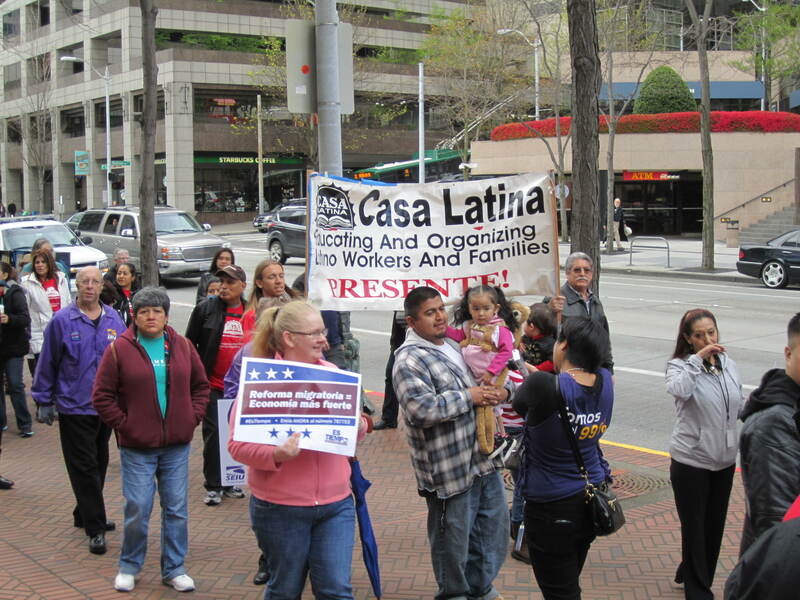 I was participating of a demonstration for immigration reform in Seattle. A few minutes after I arrived, I met this mother of two who was holding one of the signs and started a conversation with her. I shared that I was the pastor of a Baptist church in town. She looked at me surprised and asked the question above. Since I have been working on (mostly) Anglo congregations for most of my parish ministry, I had no idea that this was the current situation among Latino Protestant communities. (I have to say that most of the Latino congregations active on issues of immigration in Washington State are indeed Roman Catholic parishes.) It certainly pained me to hear the experience of this mujer. I assured her that my parish and indeed my denomination, the American Baptist Churches, USA support comprehensive immigration reform. Standing by the side of this mujer y sus hij@s, holding a banner and chanting, was indeed a spiritual experience for me. How come other Latin@ evangelic@s are not praying in this way? I met Jesucristo yesterday at this demonstration. How come are there churches refusing to meet him? As the saying goes, “A Dios orando y con el mazo dando.” I cannot pray to God while at the same time sit idle to wait for the Spirit to “do” what I ought to do. In fact, I believe that the Spirit moves me to work for this! After all, I was taught that I am las manos de Dios!